Behind every great hotel, motel, restaurant and other tourist hotspot, there stands a group of dependable and reliable workers. If you think that working with people and helping them have the perfect vacation sounds like your dream job, today is the perfect day to enroll in a hospitality or tourism degree program. Though you can find jobs in some of the tourists town in Connecticut and neighboring states, you can skip those entry-level positions when you finish your degree. The top Connecticut hospitality programs will teach you everything you need to know about running a business and helping travelers and locals. Though established in 1849, it took years before Central Connecticut State University offered many of the programs and courses that it offers today. During its early years, the school trained and educated teachers and helped those teachers find jobs at colleges in the east. U.S. News & World Report ranked the college one of the top 120 colleges in the north, and it received top ranks from the Princeton Review. The college now has a total population of around 12,000 students, and it works hard to ensure that each of those students graduates feeling confident and satisfied with their experiences. Connecticut is home to a number of different industries, but many experts noted that the hospitality industry grows at a faster rate than any other industry. While you can find an entry-level position at a local restaurant, hotel or tourist attraction, you can find employment in a management position if you finish the Bachelor of Science in Hospitality and Tourism at Central Connecticut University. Graduates learn how to be good leaders, work with teams, develop critical thinking skills, remain ethical in all decisions that they make and understand the different technologies that the industry uses. Students take 54 credit hours of courses to graduate from the program. After taking general education courses, students can enroll in core courses relating to hospitality management and take more advances courses. Some of the courses that you might take include tourism planning, hospitality and tourism industries and special topics in tourism and hospitality. Central Connecticut State University started the Bachelor of Arts (B.A.) in Geography/Tourism program in 1982 as a way to focus on global tourism. This program is unique because it lets students learn more about the geography of Connecticut and how they can use those elements to entice travelers to the area. Students take six classes on basic geography topics, including regional geography and how to use GIS devices. They then take classes on tourism and marketing, which teaches them how to get people excited about taking vacations to the state and how they can advertise different companies. The National Parks and World Heritage Sites course is another required course. Former students learned more about what makes those sites so important and why visitors flock to those locations. Many students also complete a geography internship and spend a semester working for a local park or in a business involved in the tourism industry. Established in 1992 as South Central Community College, Gateway Community College now ranks as one of the largest public two-year colleges in the state. More than 11,000 students take classes on campus every year, and some students also take online courses. Prior to the formation of the college, two community colleges already existed in the state. As enrollment at those two campuses dwindled, the schools decided to merge and form one large campus. That merger let the school expand the number of degree programs that it offers. In addition to degrees, the college also offers a number of certificate and vocational programs. Running a hotel or motel is a difficult job that involves more than just greeting customers. These managers handle everything from scheduling and hiring new employees to ensuring that guests are comfortable and employees are happy. The Associate in Science in Hotel-Motel Management is a program through the school that educates students on running and operating a hotel, including the daily operations of that hotel and special factors that managers face. After completing a physical examination, students can enroll in an internship or work study course. You’ll have the chance to spend one or more days every week working behind the desk at a local hotel. Students must commit to spending at least 400 hours working for one of those businesses, and depending on your experience and qualifications, you might receive a paid internship. Many of its graduates work for smaller boutique hotels, larger chain hotels and in other tourism industries. Lincoln College of New England opened in 1966, but many of the locals still remember when the school was Briarwood College. This is one of the smallest for-profit colleges in Connecticut, and it has an overall enrollment of less than 700 students. Though the college initially only offered Associate degrees, it expanded into Bachelor degrees in more recent years. Often referred to as a vocational school, many of its graduates immediately seek employment after finishing their degree program. As the school is so small, it doesn’t have different departments or colleges like other schools do, but it does offer students the chance to form relationships with their professors. The Associate of Science (A.S.) Degree in Hospitality Management offers students the chance to learn more about this rapidly growing industry. The college added a new nutrition and food service management concentration, which lets students take a few extra courses to learn more about the food and beverage industry. After taking those courses, you qualify for the Dietetic Technician examination. If you pass that exam, you become a registered dietician. This program is one of the few programs in the country that offer a food service concentration. While the school doesn’t offer any other concentrations, you’ll take classes that explore the ins and outs of running a hotel or motel, managing a restaurant and even working in an amusement park. Many of the courses focus on marketing and advertising, and those courses show you how you can better target customers. Other required courses include those on ethics and labor relations. Manchester Community College opened in 1963 and graduated its first group of students just two years later. Though it’s just one of many community colleges in the state, it serves a wider range of areas than some of the smaller campuses do. Students from nearly 20 different towns attend classes here, and more than 7,000 students take classes each year. Located on a 160-acre campus, the college sits near two larger towns but has a quiet and peaceful atmosphere that students seem to love. After introducing the Social Science and Hospitality Division, the school added even more programs to its course catalog. As part of the Social Science and Hospitality Division, the Hotel-Tourism Management, A.S. program offers classes on food and beverage services, motel operations and food safety. Students take composition and general education classes, courses on food preparation and introductory courses on hospitality. They also take advanced courses on nutrition and accounting. Hospitality managers must learn how to keep costs down and ensure that the companies they work for stick to a budget. Manchester Community College requires that all students in the program take a course on food and beverage cost control, which helps them learn how to follow a budget and keep costs low without alienating customers. During one of your last semesters, the school asks that you take a work experience class. Similar to an internship, this program lets you take the skills that you learned and show that you can use those skills while working in the hospitality field. Mitchell College originally opened as a small liberal arts college. The brainchild of a group of local citizens, the school was a nonprofit junior college that encouraged local high school students and adults to further their education. The Mitchell family donated a large sum of money to the school, and the board decided to change its name to reflect their generosity. The accredited school offers three types of Associate degree programs, three certificate programs, 12 Bachelor degree programs and a number of minors. Despite having an enrollment of less than 900 students, the school has a good reputation in the community. While some people start out working as waiters and in other capacities before slowing working their way to management positions, others understand the importance of possessing a college degree. At Mitchell College, students can earn a BS in Hospitality and Tourism Management. As soon as you enroll in the program, your adviser will ask you if you want to choose a concentration. The school offers three types of concentrations: food service management, event management and hotel and resort management. Hotel and resort management is best for those interested in working in hotels, while food service management prepares students for working in bars and restaurants. The event management concentration focuses on the skills associated with hosting large events in casinos, hotels and facilities. Event managers often coordinate workers, supplies, guests and dozens of other smaller details when hosting conferences, weddings and other types of events in a hotel or a large facility. Located in the large city of Waterbury, Naugatuck Valley Community College is one of several community colleges in the state that make up the Connecticut Community Colleges System. Established in 1962, the school opened when locals realized the need for higher education in the area. The campus slowly expanded and added new state of the art buildings to its 110-acre campus, and it now offers a number of degree programs for its students. Conveniently located on one of the major roads through town, students can easily reach the campus from various locations around town and from neighboring cities and towns. Formerly known as the Associate of Science Degree in Food Service Management and Hotel Management, the college recently changed the name of the program to the Associate of Science Degree in Hospitality Management. This change allowed the school to introduce new courses that didn’t fit within the previous guidelines. When enrolling in the program, you can decide to concentrate on hotel management or food service. Introduction to the hospitality industry, hospitality marketing, sanitation and safety and service management are a few of the courses available to students. The college also offers a food safety certification. Over the course of eight weeks, you earn a certificate that shows you know the importance of handling and storing food properly. Some students also earn a certificate in dietary supervision or culinary arts. The culinary arts program requires taking courses on baking, wine and other foods, while you take courses on nutrition to earn your dietary supervision certificate. Norwalk Community College opened in 1961 at the same time that Norwalk State Technical College opened. Though the two schools both remained successful for a number of years, the schools decided to merge in the 1990s. As each school offered different programs, the schools could keep costs low while still boosting admissions. After going by the name of Norwalk Community-Technical College for several years, it decided to revert to its original name. Approximately 6,000 students attend classes on the 30-acre campus, which features a major road running right down the middle that separates the East Campus from the West Campus. The Hotel / Motel Management, A.S. Degree program offers students two options for the future. They can take their Associate’s of Science degree and transfer into a Bachelor’s degree program, or they can use their knowledge and skills to work in the hospitality or tourism field. As the hospitality industry constantly grows and changes, the program teaches students how to identify those changes and use newer forms of technology on the job. The program has a number of outcomes for students who complete the program. Students must understand how to handle the complexities of the hospitality industry. They should demonstrate knowledge relating to creating and following a budget. They should possess skills in regards to customer service and forming relationships with frequent customers. Students will have a portfolio in hand that shows their knowledge of the field. Graduates should understand the importance of work flow and how to run both larger and smaller businesses. In addition to the hospitality path, Norwalk Community College also offers a Restaurant / Food Management, A.S. Degree. Designed specifically for those working in the food and beverage industry, the program requires that students take a total of 69 credit hours in general education and specialty courses. The major requirements include courses on international foods, catering management, sanitation and safety, hospitality law, hospitality marketing and food production and purchasing. Those with a Restaurant / Food Management degree qualify for a number of positions. 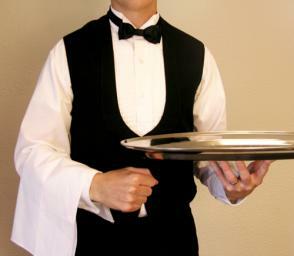 They can work as bar managers, restaurant managers, in catering facilities, for hotels and in other capacities. Full-time students typically take between five and six classes each semester and finish the program in four semesters. Taking summer classes can help you finish the program even faster, but the school also gives you the option of studying as a part-time student and spending more time in the program. Mohegan Community College and Thames Valley Community Technical College were two smaller community colleges operating in and around Norwich in the late 1980s. Due to financial problems and dropping enrollment, the two colleges decided to combine resources, which led to the formation of Three Rivers Community College. The college, which opened in 1992, originally had two campuses separated by a river, but in 2009, the college moved to one larger campus. Just over 5,000 students attend classes on its campus, and the school noted a large increase in the number of students enrolling in its Business Department programs, including its management programs. Unlike other programs that ask students to choose a concentration, this program gives students experience in a variety of tourism topics. You will take courses on managing and running bars, restaurants and hotels, but you’ll also learn more about communicating with others. The University of New Haven originally opened as a junior college connected to the YMCA and Northeastern University. Just three years after opening, the school hosted its first graduation ceremony. After the college moved to West Haven and added some new state of the art buildings, it decided to rename itself in honor of the new area. This private college now ranks as one of the top 100 colleges in the north, according to U.S. News and World Report. More than 20-percent of the new students arriving on campus each year enroll in the College of Business, which offers several degree programs. Hospitality and Tourism Management, B.S. The Hospitality and Tourism Management, B.S. is a four-year degree that emphasizes the importance of hands on learning. The college encourages students enrolled in the program to do an internship during one of their early years, and professors also encourage students to take part in the off campuses experiences offered each year. Students have the chance to spend their spring break in Las Vegas, travel around Italy for four years, spend a semester in Australia or take part in a study abroad program in England. The college believes that offering students these experiences will help them learn more about the tourism industry and decide if they want to work close to home or in a foreign country. You can choose from one of four concentrations, including hotel and resort management, spa management, food service management or event and tourism management. You’ll take courses in your concentration and classes in general hospitality. If you find yourself struggling with a dead end job or confused about the future, today is the day that you get back on track again. Colleges offering hospitality degrees in Connecticut provide you with a good foundation and the skills to land any job in the tourism industry. For more information on Hospitality Degrees, please see “Top 10 Best Online Hotel and Hospitality Management Degree Programs 2014“.